Brief: Meeting room for brainstorming and impressing clients. Each individual rib of the screen was independent and could be the colours could be where picked to be different shades of RGB or white. Once colours had been selected they could be set up to wave along the Ribs offering an ever changing environment. Service: Design and supply and commissioning final install. 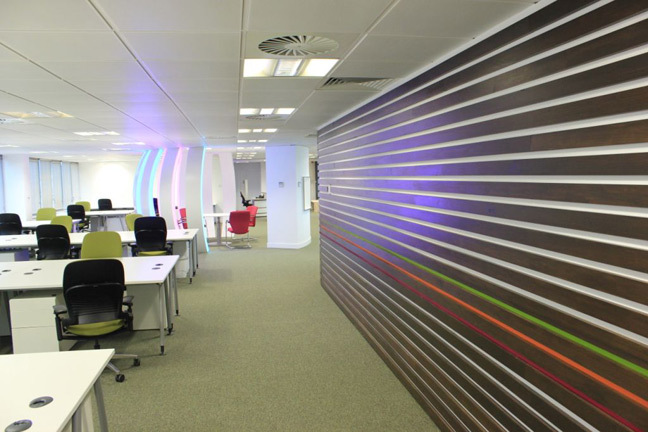 Designers comment: This had a amazing effect on the office environment, especially on the dreary winter nights. We also believe it had increases productivity with the staff. 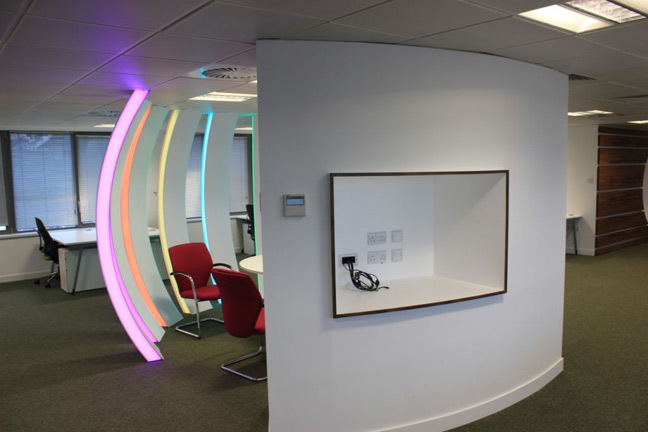 Product: Digital LED strip RGB and white, controlled by wireless remote.